Milk snake phase. Intitially we bred approximately equal numbers of VR Strain leonis phase and VR Strain milk snake phase and they were equally beautiful. 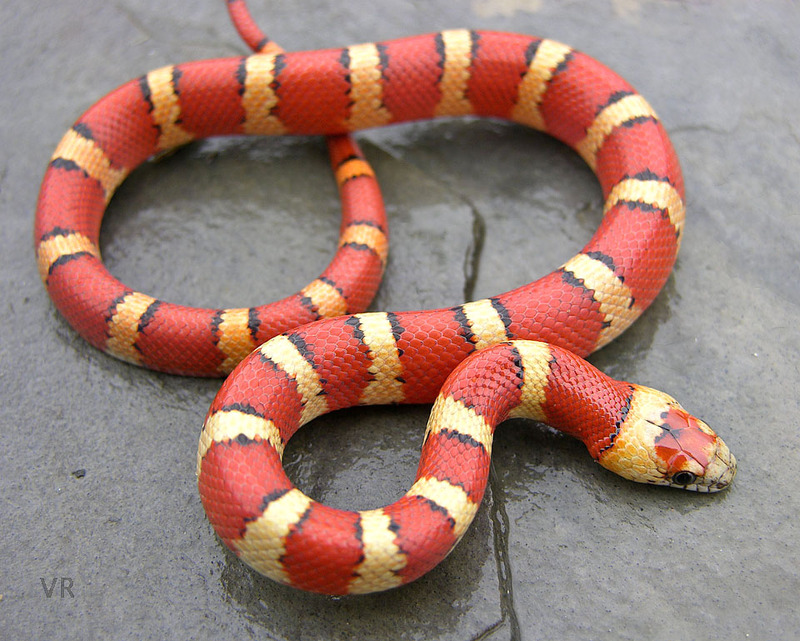 Over time Variable Kingsnake collectors tended to show a decided preference for leonis phase over milk snake phase and eventually milk snake phase examples became somewhat uncommon in collections. This was an unfortunate turn of events because it ushered in a period that saw less and less variation amongst the VR Strain animals in collections across the USA.